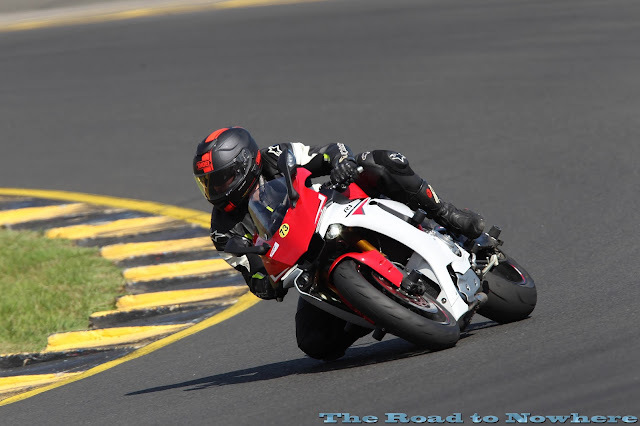 281kmh with throttle to the stop before diving into Sydney Motor Sport Parks fast left hand turn 1 at 200kmh. THIS IS LIVING ON THE EDGE. Life at 110%. This is better than any drug! Dropping the knee on the deck at 190kmh sure has the adrenaline pumping. 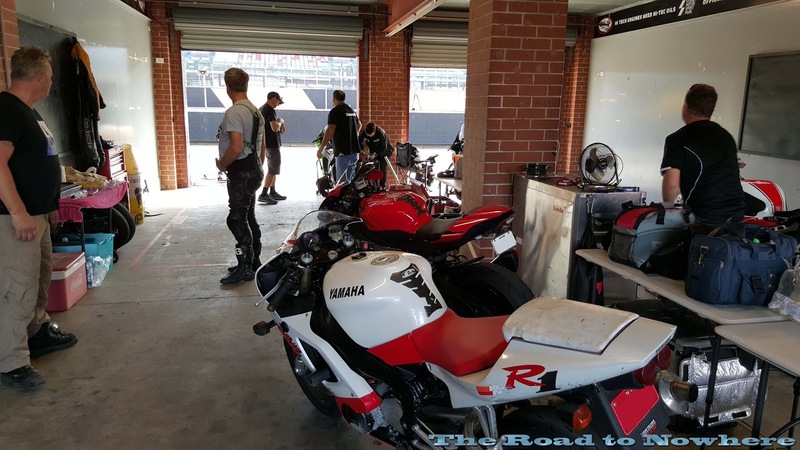 This was the scene of our recent ride day last Friday at Sydney Motorsport Park. 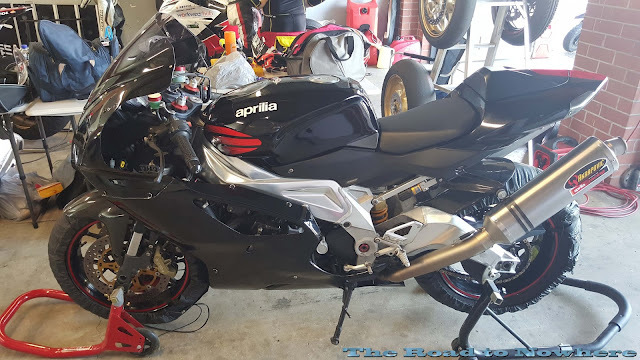 I was initially going to take my 00 R1 but a flat battery and no rego quickly put that to the sword and with a brand spanking new 2015 R1 with Traction control, slide control, abs, slipper clutch, quick shifter and a race pedigree a mile long behind it the choice was pretty simple. 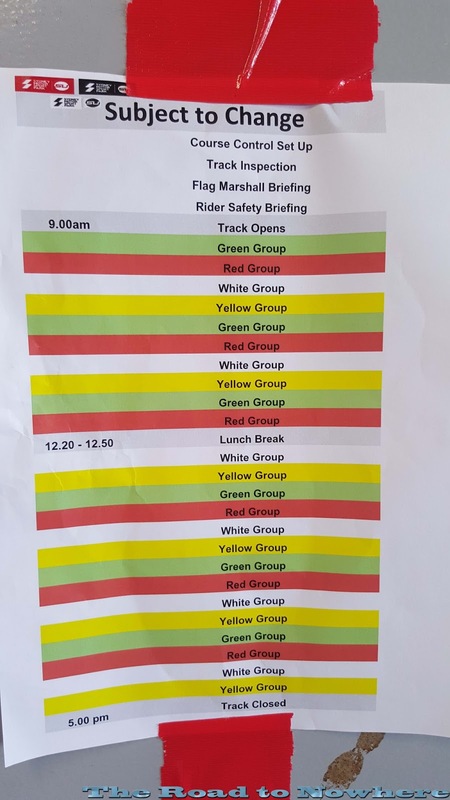 Both Bushpig and I had booked well in advance and after much discussion went in the Green group, which is the second fastest group. I'm not sure if it was this decision or not but this was the first ride day that I had ever done where I got a good night sleep the night before. 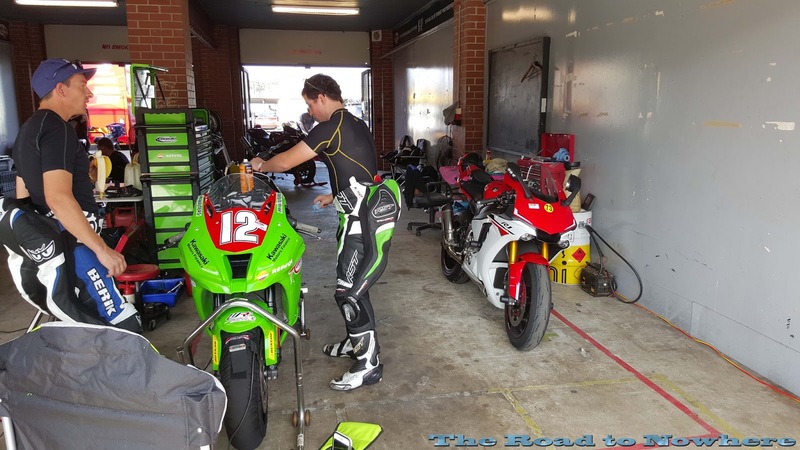 Previous Phillip Island and Eastern Creek ride days and I was awake most of the night before hand not being able to sleep. but not this time. As it turns out going in the green group was a god send for today's event as it turned out the RED(Fast) group was full of Australian Superbikes as today was also a practise session for them as the Australian Superbike round was also on this weekend, and I can attest these guys are F#*cking fast. I wouldn't like to be out on track with all of those guys. Bush pigs friend Hugo turned up with both of his RS250 race bikes, fabulous looking bike and he could really ride too as he races them in the national series. Hugo had set up a bbq breakfast and lunch, he was setup superbly well and had obviously spent many a days at the track. 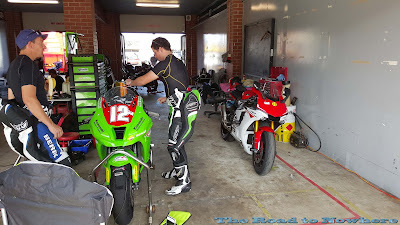 We shared our pit garage with some of the Kawasaki racing team who were here for the ASBK round although we all pretty much kept to ourselves as they were busy as well as us. 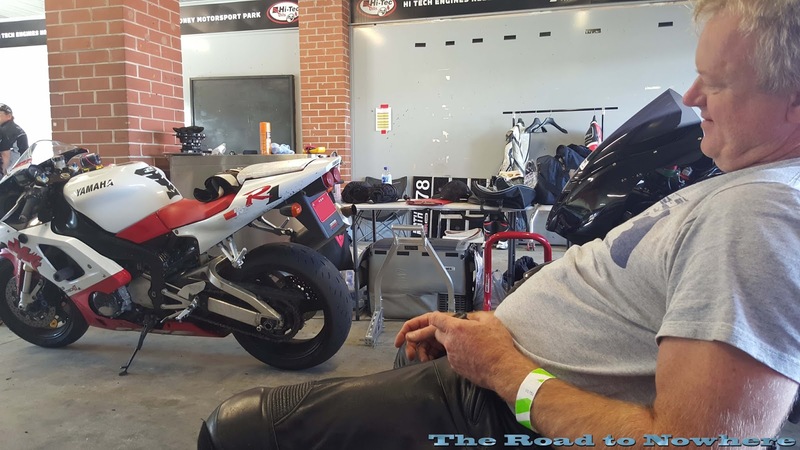 Stay upright Motorcycle training has now taken over the SMSP ride days and now Gopro's etc are now allowed to be used as long as they are tethered to the bike in case of a mount breaking. I got some excellent footage today. Watching the Australian Super bike riders from pit roof really put into perspective your own riding, like how slow I really am. These guys were absolutely flying and it was magic to watch them on their magnificent machines. 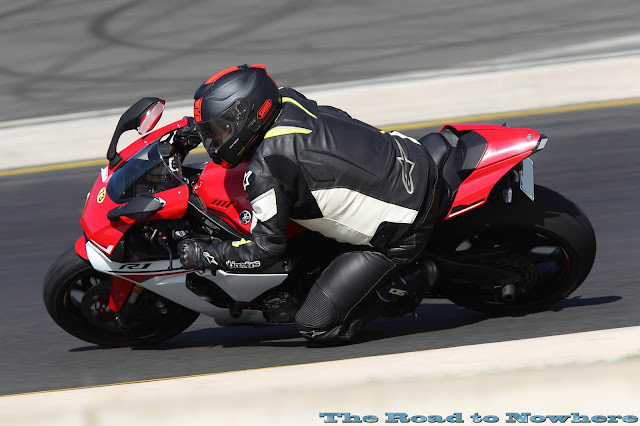 Riding the new R1 on the track was a meeting of two great entities. 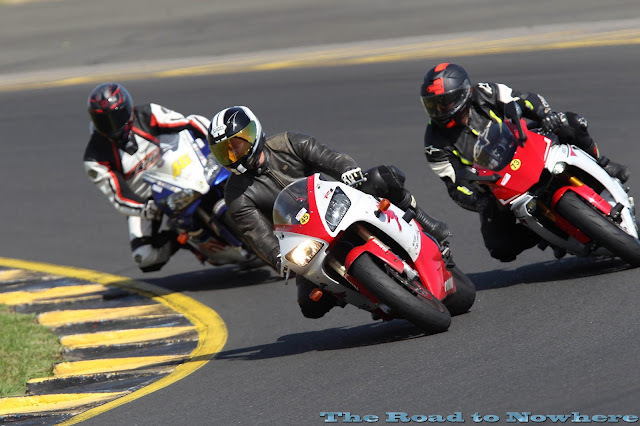 The smooth asphalt of the twisty SMSP track versus the race spec Yamaha road bike. 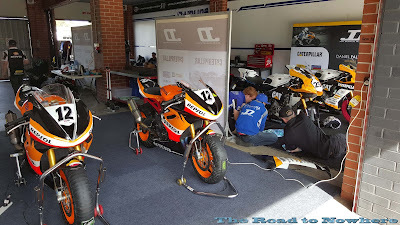 This is the new R1's home and it felt like the purest of magic, it could do no wrong, only I could do the wrongness. 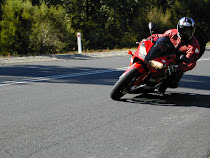 It was time to exercise the demons of last years off on the Bonang Hwy and see if I could ride this thing. I met my limits well before the bike hit any that's for sure and I can easily see that now when I watch back the video. This bike is fast, very fast, superbly fast and I did my highest top speed and fastest lap time ever on this bike all that and I hadn't ridden around here in over 12 months. We saw ex-world super bike champion Troy Bayliss wandering around the pits as he was here with the Ducati factory team for the weekend, and I'm sure he got out for a few laps in disguise(I'm sure he overtook me in one of the sessions). 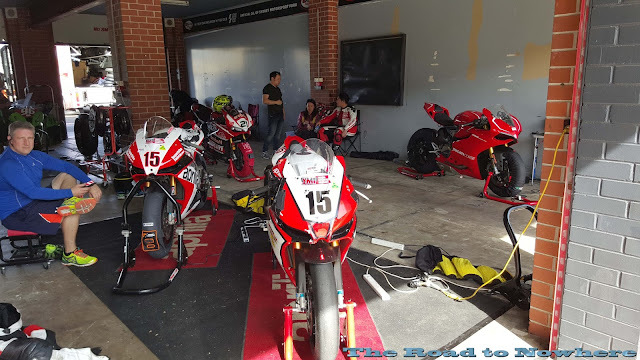 Red - Fast Race bikes and fast road riders. White - Slow First Timers to the track and slow riders. 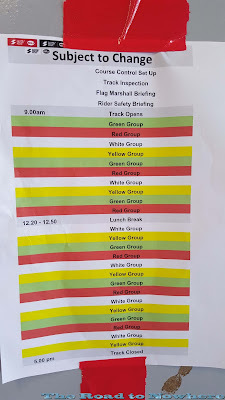 I had already decided at the start of the day that I was only going to do 4 sessions, I missed the first due to time constraints and the last as by then I was very tired. Actually by the 4th session I saw that the fuel light had come on and by the time I pulled in it had been on fuel light for 9kms. Back in the pit I checked and I had used 16 litres(17 Ltr tank) for 100kms, Yikes but it was oh so much fun. So I ended up getting 3 & half sessions. Next time will have to take more fuel I think another lap and I would probably have run out. My go pro went flat at the start of the 3rd session but lucky I took my charger and had it up and running for the fourth session. Here's a short video of the fun that we all had during the day. Hope you enjoy. After 4 sessions I'm getting knackered. 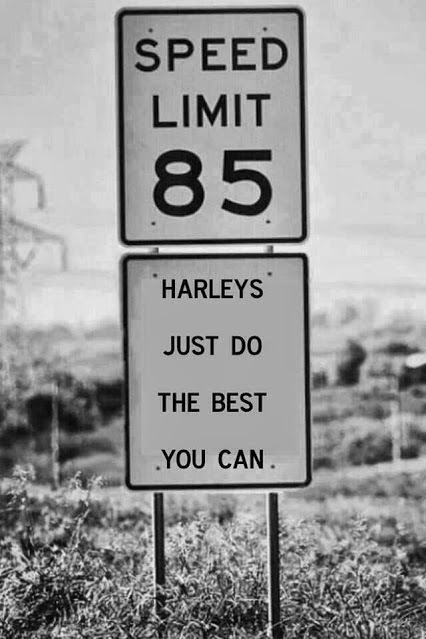 Ride as fast as I can and have lots of fun, check. 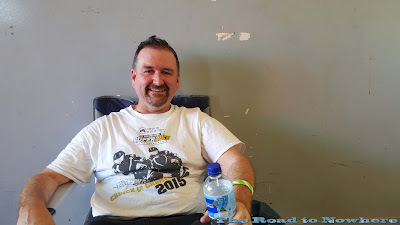 We also had Tim Munro Photograph out there taking photos of everyone as we went around so thanks to him for our greats action shots, he takes great photos as you can see from this post. 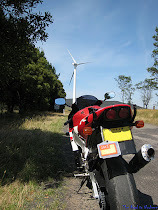 Anyone that has ever wondered about doing a ride day, my advice is just go and do it. It's some of the most fun you can have on your bike in a relatively safe ish environment. 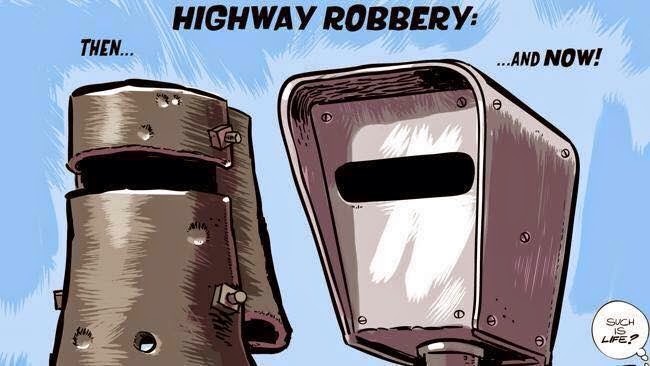 No speeding fines, go as fast as you want and have as much fun as you can. Yep this is living life at 110%, living on the edge. Now new R1 maybe you should meet Mr Phillip Island!!!!! 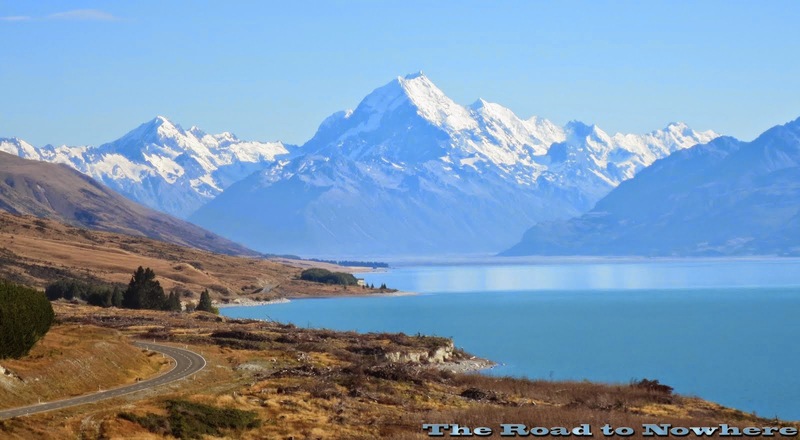 Awesome post, love reading your blog. Awesome action shots of you!! How cool that you could use the GoPro too. 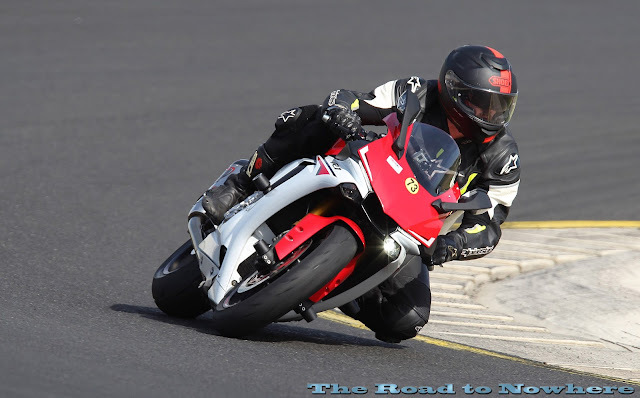 About 2 weeks after our track day last year they allowed cameras onto the track D'oh. I loved how the footage came out. Nice one! Did you use the throttle in light switch mode or leave it in a dimmable setting? That engine sounds awesome on the road so must be even better when held flat at the track. 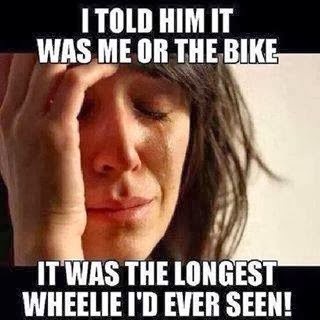 So, when are you getting a track bike and going racing? C mode is the slow throttle response, and no I didn't use it. I went out in B mode with the Lift control on and I hardened the suspension back up for the track. Amazing photos and write-up Steve and you certainly weren't hanging about - well done. I know what you mean about not wanting to mix it with the top guys. 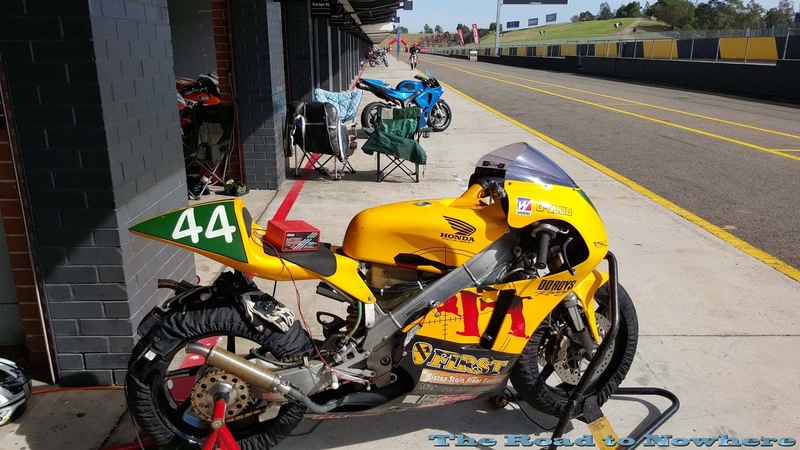 On our track day, Andrew Stroud, ex-Britten superbike rider and multiple NZ Superbike champ turned up for a practice and even the top trackday riders were giving him LOTS of room! Very intimidating to be out there with so many race bikes doing 20 seconds a lap faster than you. Scarey stuff. Mate! What a day aye? 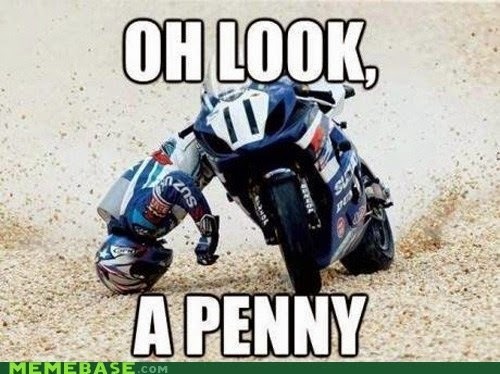 That R1 of yours is awesome and you ride it pretty bloody good too. Nice looking circuit and surface as well. 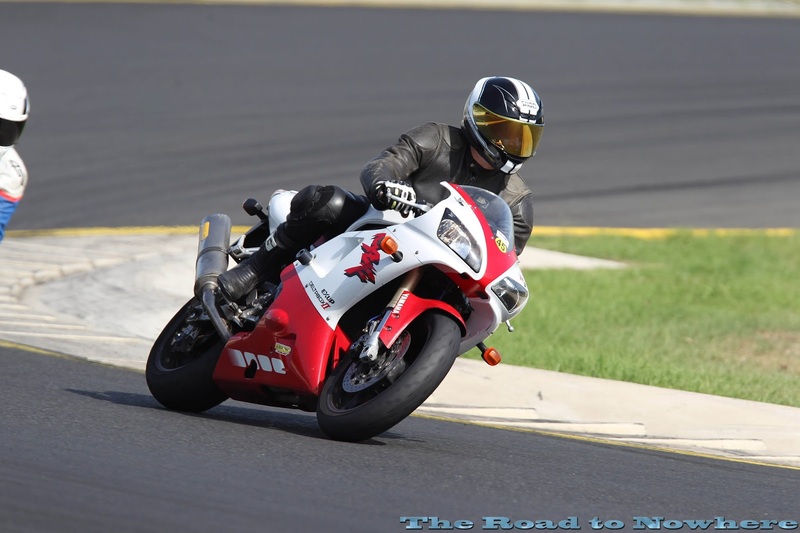 SMSP isn't a bad track but it is pretty tight and slow with a narrow riding line. Not much room for errors where as Phillip Island is very fast and flowing were if you run a little wide it doesn't seem to matter as much. Surface isn't to bad but a lot bumpier than Phillip Island. i used to think 250 ks down the straight was fast....bring on the island!! Haha I also used to think 250 was fast until I road this new R1, far out its F'ing fast. Looks a little like too much fun! Great pics and the GoPro location makes for some great video! 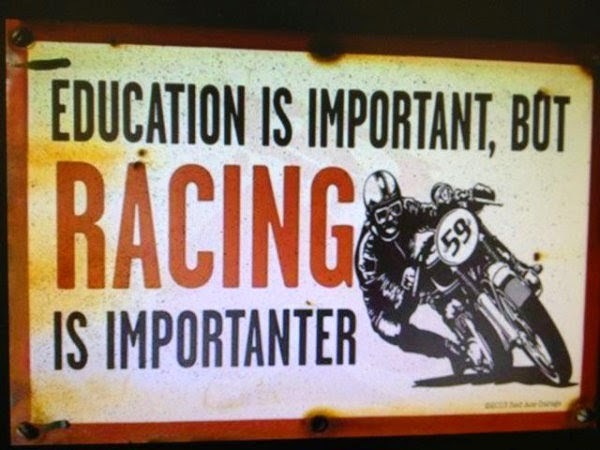 Hey mate, you can never have 'Too' much fun on a bike. Yeah I thought the video turned out great, not to much wind noise and plenty of angry, angry engine noise!